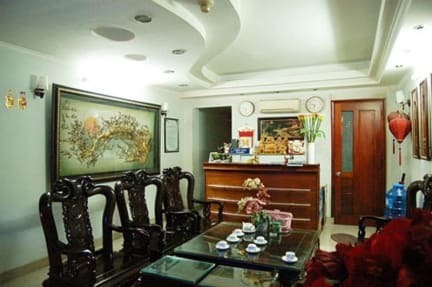 Between Tan Son Nhat International airport and city center with supermarket, ATM, shops, bookstore, taxi station, bus stops, around the corner. Our establishment provides nice rooms with air-conditioner, satellite TV, refrigerator, City view, Wifi. 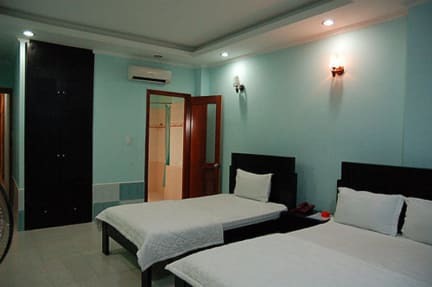 There are several rooms for you to choose from:single rooms, double rooms, twin rooms and triple rooms. AIRPORT PICK UP SERVICE: Please provide your flight number and arrival date/time. 1).Check in from 2pm and check out before 12:00. 2).No drugs in our establishment. 3).Please abide with Socialist Democratic Republic of Vietnam as well as local regulation edicted by our front office. Thank you for your understanding.